This beautiful and authoritative book, covering frog and tadpole biology and behaviour, is the most comprehensive treatment of the frogs of the region ever produced. The new edition (with a slight name change) published by Struik Nature, has been thoroughly updated to reflect taxonomic changes based on the most recent research and DNA studies, and includes 12 new species and over 130 new photographs. 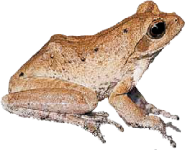 All 169 southern African frog species, and their tadpole stages, are fully described, along with their conservation status, calls, habitat and habits. Identification is made easy with the aid of large, full-colour images, keys to species and summary panels on 'Key ID points' and 'Distinctive characters'. 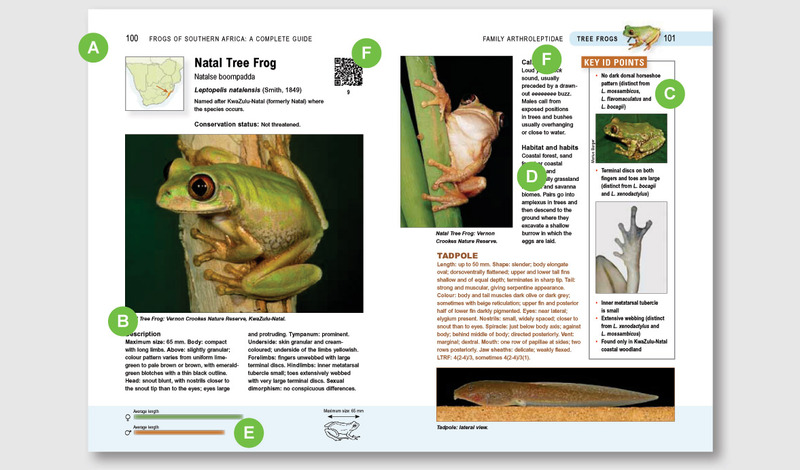 Calls for most species can be accessed instantly via QR codes in the book or downloaded here. Spectrograms are also provided, offering the surest method of identifying these secretive and often cryptic creatures. 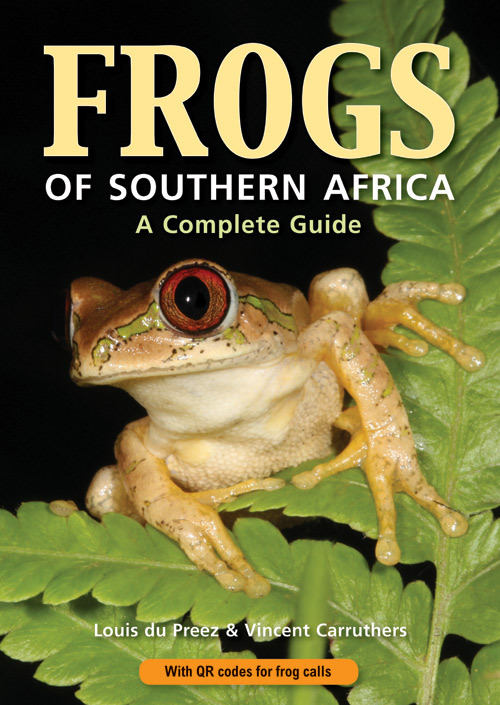 Written by two respected authorities in the field, Louis du Preez and Vincent Carruthers, this new edition will be of benefit to all nature lovers, amateur 'froggers', students and professional scientists.